Digi-Schlock: CLASS OF 1984 (Scream Factory Blu-Ray) – Schlockmania! 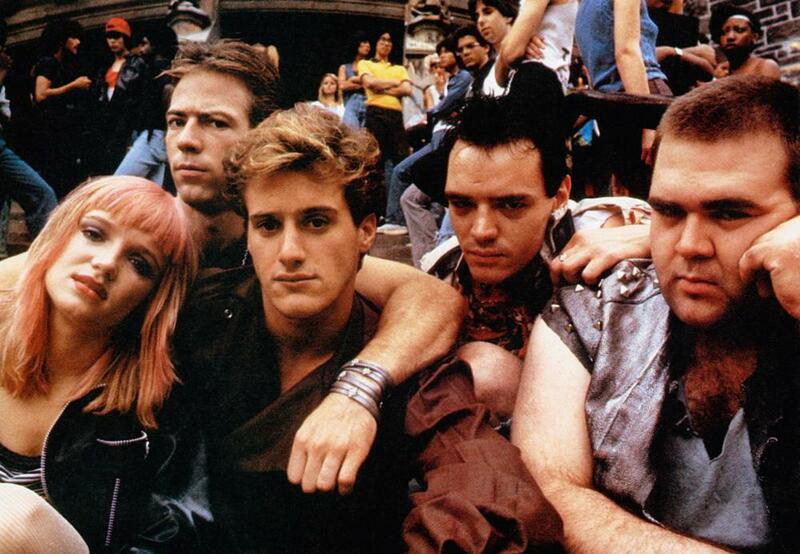 Class Of 1984 is a big favorite at Schlockmania headquarters: thus, it has felt like it has taken an eternity for this film to make its debut on blu-ray. Thankfully, the rights were finally secured by Scream Factory and they’ve produced a new blu-ray that combines an impressive transfer with a variety of supplements new and old. The results make it obvious that Scream Factory likes this flick as much as Schlockmania does. The hi-def transfer used here looks quite good, capturing the film’s gritty details and bursts of eye-popping color well. Both 5.1 and 2.0 stereo mixes are included, both in lossless form. The 5.1 track was utilized for this track: it makes an appropriate multichannel use of Lalo Schifrin’s synth-layered orchestral score. As for the extras, this disc carries over the key extras from the old Anchor Bay special edition DVD. The first of these is a commentary track featuring director/co-writer Mark L. Lester and moderator Perry Martin. It’s a good nuts-and-bolts track, with Lester offering plenty of behind-the-scenes detail and Martin keeping him peppered with questions. Lester expresses pride at the film’s prophetic elements, talks about the challenges of getting the film released in the U.S. (including ratings board issues) and covers all the challenges involved in staging the film’s violent finale, with a fun tale about a key part of the climax that was added after the shoot. The other Anchor Bay-era extra is “Blood And Blackboards,” a 35-minute retrospective featurette that interviews Lester as well as actors Perry King and Merrie Lynn Ross. Lester’s tales here overlap with his commentary but he’s able to add some extra details here and there. Ross reveals that she got in on the film by helping with its financing and Ross talks about the challenges of his role. There are lots of great stories about Roddy McDowell and some nice praise for the underrated Timothy Van Patten. Scream Factory has also added a trio of new featurettes that fans will enjoy. The first is “The Girls Next Door,” which interviews castmates Lisa Langlois and Erin Noble. 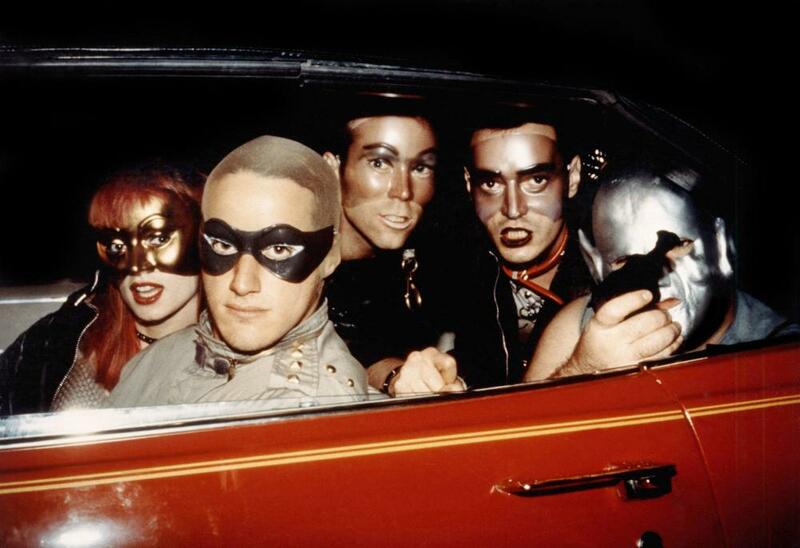 Much of the time is devoted to fond discussion of their castmates and Langlois and Noble also add in some fun stories: Langlois tells a scary tale about how she wasn’t received kindly by the punks in the club scene and Noble offers up a charming anecdote about how she discovered the film had a cult following years after the fact. The second new piece is “History Repeats Itself,” another dual interview piece that includes Lester and composer Lalo Schifrin. Lester starts off with a lot of stories you’ve heard elsewhere on the disc but gets into interesting material later on, including a detailed explanation of his travails with major studios and how he finally set up U.S. distribution. Schifrin talks about what drew him to the film and describes his methods as a composer, also throwing out an amusing opinion on music supervisors. The final new featurette is both the biggest and the best: “Do What You Love” is a funny, fascinating 47-minute chat with star Perry King. He talks about his acting career from its beginnings with Slaughterhouse Five and The Possession Of Joel Delaney all the way to Class Of 1984 and Riptide. He has a great story for every film he discusses, including extensive tales about The Lords Of Flatbush and Mandingo, and surprisingly reveals his favorite acting experience to be A Different Story. King is witty and irreverent from start to finish, offering great advice to actors but telling the truth about his rougher experiences (including some interesting criticism of Lester). Anyone who admires his work will want to check it out: it’s one of the best interviews on a cult movie disc in recent memory and there is a never a dull moment in the piece. The disc is rounded out with promotional material. There is a theatrical trailer and two t.v. spots, all of which do a great job of selling the film’s mixture of provocative themes and tough revenge-flick content. Also included is a 50-plus image gallery with stills, lobby cards and poster/video art. In short, this Class Of 1984 blu-ray is a worthwhile hi-def update of a cult favorite. Fans will want to upgrade and the uninitiated will find a good way to get acquainted with this exploitation gem. 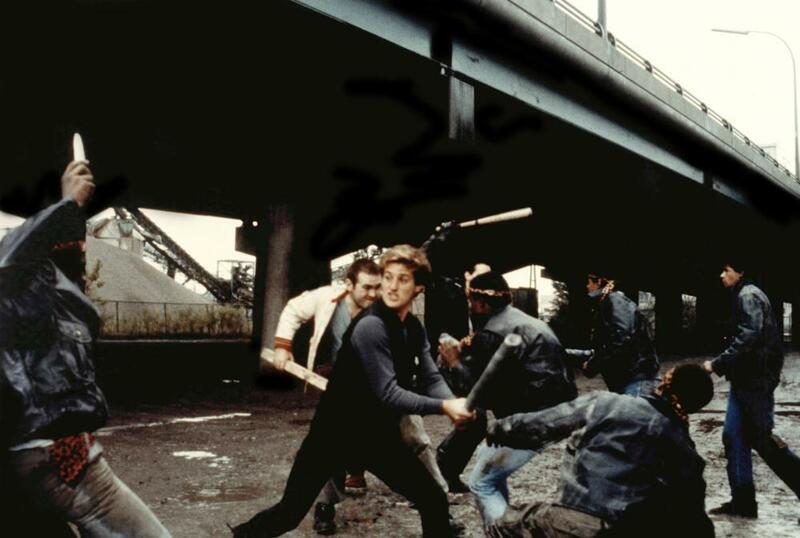 To read Schlockmania’s film review of Class Of 1984, click here.